The DOL ruling is still top-of-mind for many. The landscape of our industry will be going through many changes in the coming years. I’ve asked one of my colleagues to share his perspective on the ruling and the expected fallout. From a legal and business point-of-view, attorney Donald R. McNeil shares his considerations. The tremors you felt on April 6, 2016, were the result of the final release of the 1,023 page Department of Labor fiduciary rule that was six years in the making. The new fiduciary rule is aimed at preventing over $17 billion a year that the government claims investors waste in advisor fees. The idea behind this new regulation is to put customer’s interest in obtaining the best investments at the lowest prices in their retirement accounts ahead of advisors that might put their own interests in earning commissions and fees first. The nation’s brokerage firms that service the retirement market will have to adjust their operations and procedures to comply with the rule. Some changes will be dramatic and others less so, but there is change in the making. 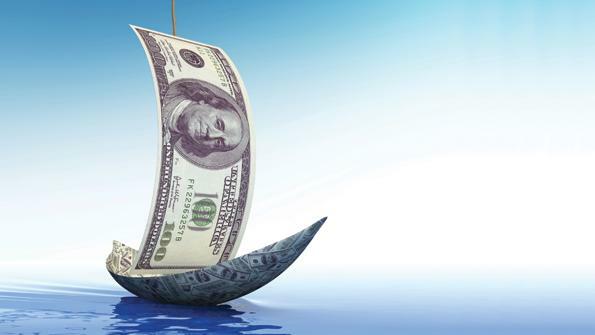 There will be three notable sea-change effects on the financial industry. Beginning April 2017 all financial advisors will be required to recommend what is in the best interest of clients when they offer guidance on 401(k) plan assets, individual retirement accounts, or other qualified money saved for retirement. Previously, independent broker dealers needed only to make “suitable” recommendations. Now they will need to invest in technology and training to meet the rule’s requirements. One of the most discussed effects is additional documentation. In order to accept commissions or revenue sharing, the advisors will need to have clients sign a Best Interest Contract Exemption, or BICE, form. This exemption guarantees that the advisor will act in the clients’ best interest and only earn “reasonable” compensation, and the advisor must disclose information to clients about fees and conflicts of interest. This will have the net effect of encouraging advisors away from the long tradition of charging clients based on transactions to a compensation based upon a wrap fee. While broker dealers will have life-changing new regulatory compliance, registered investment advisors are dancing in the street. RIAs are already held to a fiduciary, or best interest, standard and will only have small operational changes to make in order to service retirement plans and IRAs. The most significant change, and this isn’t much, will only be to have additional documentation to show how clients’ interests are being put first. For example, if an RIA is servicing a 401(k) that is being rolled over to an IRA, there will have to be some written explanation to do if the fees increase. Many commentators have noted that the only downside for RIAs is the fact that they will now see more competition. Charles Schwab is rolling out a massive advertising campaign to trumpet the virtues of RIAs and their long history of serving as fiduciaries. Since many advisors are not going to want to use the BICE because of the perception issue it creates with clients, more brokers will be joining the ranks of fee-only RIAs. The net effect of the DOL fiduciary rule is that RIA’s will be welcoming more to their ranks. This new fiduciary rule becomes effective in April 2017 and all of the final rule requirements will be in effect on January 1, 2018. Tick tock; get to work on complying with the new rule. Customers that pay attention to this change will be expecting a fiduciary standard even before the effective date, or an explanation on why their financial advisor believes that the old standard is good enough until the law requires differently. That will be a tough question to answer. Firms must move quickly to adopt policies and procedures to ensure that advisors provide best interest advice and prohibit financial incentives for advisors that are contrary to the clients’ best interest. Firms must develop full disclosures on fees that will be provided on web sites. Paperwork needs to be developed that ensures customers are getting fiduciary advice in their retirement accounts. And, if the advisors and firms do not adhere to these standards, retirement investors will be able to hold them accountable in lawsuits through a breach of contract claim or under the provisions of ERISA. Needless to say, the lawyers will have a field day the first time the market tanks and customers lose money in their retirement accounts. Be ready to comply or be ready to battle in litigation. Donald R. McNeil is managing partner at Heley, Duncan & Melander, Minneapolis, MN where he represents financial advisors in employment and business matters. He is recognized as a “Top 40” business SuperLawyer and is a frequent writer on issues in the financial industry.